Your shoulder gets a major workout every day. If repetitive or excessive motion results in shoulder pain or injury for you, let our team get you back to your sport and quality of life. The Ohio State Sports Medicine team evaluates and treats a broad range of shoulder and elbow injuries. These injuries occur in the young and the elderly, as well as in people with active or sedentary lifestyles. And traumatic shoulder injury can often lead to arthritis in the long term and other short term issues with the rotator cuff and labrum (cartilage in the shoulder). Throwers, commonly referred to as throwing athletes or upper extremity athletes, can have unique and complex problems involving the shoulder and elbow. In addition to the problematic joint, it is critically important to treat the entire athlete – including hip, trunk, back and core muscle groups. The majority of shoulder and elbow injuries respond to a nonsurgical approach, such as anti-inflammatory medications, icing, rest, physical therapy, a sling or brace. If matters worsen, surgery might be a solution to consider. The recovery period for a shoulder injury after surgery ranges from three to six months. A thorough physical exam, X-rays, presence of symptoms (including pain with and without movement, inflammation, stiffness, weakness and restricted ability) and history review are the basis for determining the source of your shoulder pain. An MRI provides a detailed, high-resolution image of your bones, joints and surrounding soft tissues, such as tendons, ligaments and muscles. It helps us understand how extensive the damage or abnormality is and if surgery is potentially required. CT scans are taken to better understand your specific bone condition and are used for preoperative review by your surgeon. Shoulder instability is a result of the joint being out of position, whether from trauma or overuse. Associated symptoms of a shoulder dislocation include pain that worsens when raising the arm, stiffness, lack of strength and mobility in the shoulder area and the sensation that the shoulder is slipping out of place. Rotator cuff tears often occur slowly from shoulder misuse or general overuse over months or years, whether from sports, jobs with repeated overhead motion, or daily activities. The repetitive force against the tendon is to blame and the aging process factors in as well. Bicep and labral tears such as the superior labrum anterior-posterior (SLAP tear) and biceps tendon tear are when the tendons that attach muscles to bones become torn, whether acutely, or slowly with repetitive use. Impingement occurs when the bone on top of the shoulder impinges on the rotator cuff with overhead arm movement, causing pain and irritation. Fractures of the shoulder, scapula, acromion, clavicle and tuberosity can happen in young patients as a result of high-energy trauma, while others can have shoulder fractures from ground-level falls. Clavicle Collarbone Fractures are very common at all ages from falls onto the shoulder or onto an outstretched arm that puts undue pressure on the collarbone, although they are most common in young patients. Tendinosis of the shoulder or elbow results when there isn’t appropriate rehabilitation after an injury or when an overuse injury simply fails to heal properly. Bursitis is inflammation of a bursa – the fluid-filled cushion between bone and muscle or tendon. This condition creates pain and swelling and is a result of injury to or overuse of a joint. Shoulder Arthritis is a slow progressing problem, generally from previous bony fracture, dislocation or heavy blow to the shoulder that results in an abnormal wearing down of the cartilage. Treatment focuses on reduction of inflammation, physical therapy for strengthening and to preserve motion and avoidance of activities to prevent further wear and arthritic flare-ups. Failed Shoulder Replacement from occasional mechanical failure, soft tissue failure, fracture or ongoing pain after a replacement is often a complex problem that requires a systematic approach to treatment. It may include specialized testing such as CT scans, MRI scans, ultrasound imaging, blood tests and joint fluid samples. 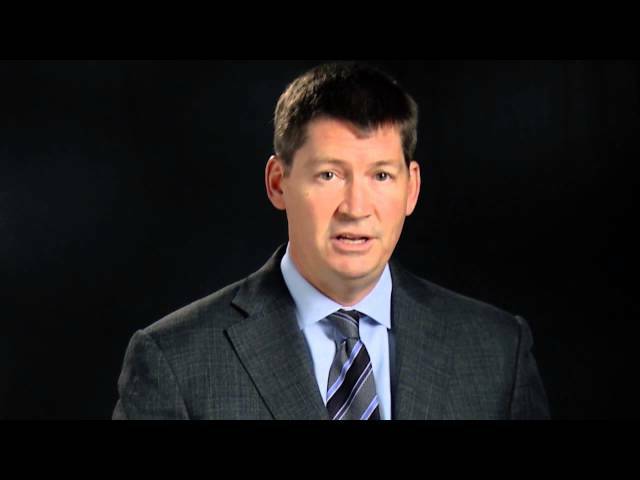 Dr. Grant Jones outlines how research gained from a multi-center study group found that a majority of labral and rotator cuff tears do not require surgery. A visual demonstration and explanation of what happens during a labral repair surgery, narrated by the surgeon, Dr. Julie Bishop. Ohio State is involved in one of largest research studies to treat rotator cuff problems and how to get patients healed sooner. 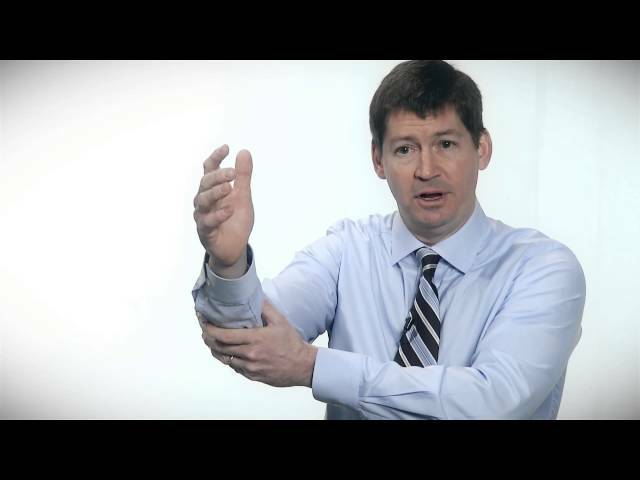 Dr. Grant Jones outlines the techniques used at Ohio State Sports Medicine to treat rotator cuff injuries and what a patient can expect in the recovery process. Shoulder specialist, Dr. Julie Bishop, provides an overview of what happens during a rotator cuff repair surgery. Cortisone/steroid injections, also called corticosteroid injections, are used to reduce joint pain and inflammation caused by rotator cuff issues, tendonitis or bursitis. Steroid injection can help improve function, and for less complicated first-time injuries, can be effective as part of a nonsurgical treatment program, which may also include participating in physical therapy. You should discuss with your primary care physician whether injection therapy is right for you. The sports medicine physicians at The Ohio State University Wexner Medical Center use musculoskeletal ultrasound for accuracy in treating you with steroid injections in-office. This technique uses sound waves to create images of the internal structure of the injured area. The image also shows the steroid needle, helping the physician guide it to the affected area. This is an in-office procedure and it does not expose you to radiation. Many rotator cuff injuries, such as impingement or tendonitis, can be successfully treated with physical therapy and home exercise. We may prescribe progressive exercises to strengthen your shoulder muscles and tendons and expand your shoulder’s range of motion. If you have a lifestyle or job that demands higher levels of physical activity, taking breaks and/or resting frequently may be required. Anti-inflammatory medications may be used to reduce pain and swelling. 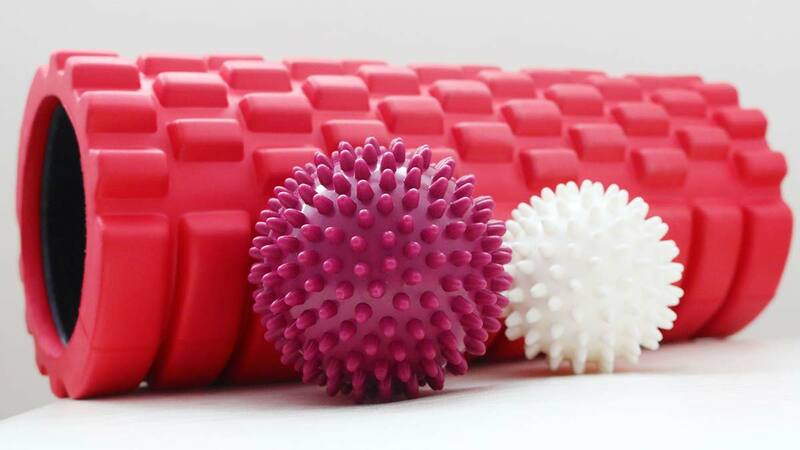 Making changes to your technique and to the frequency of play can help chronic tendonitis. You may also want to consider changing the equipment you use to see if that helps. The way you grip a tennis racket or the actual grip size of the racket itself, for instance, may be affecting your condition. Also, using a brace on your forearm may provide support during play. If you’ve had an unsuccessful instability surgery, or have another instance of the same injury, our surgeons are specialists at revision instability surgery. With the second and third dislocation after a prior surgery, there is typically more damage to the joint. This requires a more complex surgery that involves more bone reconstruction, versus soft tissue labral reconstruction, using techniques such as rebuilding your socket with your own bone or bone grafting. With this surgery, a general anesthetic is administered, and since revision surgery is typically more extensive, it may require an overnight stay. Two hours or more may be required to complete your surgery, depending on the amount of damage and repair necessary. After surgery, you may be required to wear a sling for six weeks or more to avoid using the shoulder and aggravating the injury. Recovery will depend on the extent of your surgery and can take up to six months or more. Arthroscopy is commonly performed to repair a rotator cuff tear. Less invasive than other surgeries, it requires smaller incisions instead of larger, open ones. With arthroscopy there is less surgery-related pain and trauma. Patients wear a sling for about six weeks after surgery to allow the damaged tendon to heal to the bone. Physical therapy is a major part of recovery and is immediately started with passive exercise, followed by more active exercise for six to 12 weeks. The focus then turns to strengthening the shoulder. Overall, recovery is expected to take about five to six months. Our surgeons have extensive arthroscopic experience, treating hundreds of patients annually, including pro athletes. Most of our patients find that arthroscopy leads to effective repair and prevents long-term complications. Many athletes regain strength and are able to return to sports. Both inflammation and irritation of the superior labrum and the biceps tendon can be treated with biceps tenodesis, Biceps tenodesis is the cutting of the biceps tendon in the shoulder and reattaching it in a location outside the shoulder. This surgery can be done as an outpatient, using minimally invasive techniques. A short period of immobilization in a sling is followed by physical therapy to regain range of motion and strength. Surgical treatment of fractures of the shoulder or collarbone is generally completed by placing a strong plate and screws on the bone. Range of motion is gradually gained while the structure heals. A sling is frequently used for up to six weeks. Strengthening begins three months after surgery. In more severe fractures, shoulder replacements may be required. In some cases, this can be a partial shoulder replacement, or hemiarthroplasty, or a reverse total shoulder arthroplasty. Your specialist will choose which operation is best for you depending on a number of factors, including findings on an X-ray or CT scan, your age, your activity level, previous shoulder problems or surgery and timing from injury. For unbearable arthritic shoulders, the traditional, total shoulder arthroplasty (shoulder replacement) replaces the shoulder joint by resurfacing the socket with synthetic components and replacing the ball of the shoulder’s ball-and-socket joint with a metal ball. The new socket is attached to the existing socket with medical adhesives or screws. The procedure takes about two hours. Trauma from sports activity, like a dislocation, can at times lead to long-term tears of the rotator cuff, which can subsequently lead to shoulder arthritis. Historically, athletes with this condition could not have a traditional shoulder replacement, as the rotator cuff was not in good condition. A traditional shoulder replacement will not be successful without a good functioning rotator cuff. However, by reversing certain components used in regular arthroplasty, it is now possible for those suffering with this condition to have a shoulder replacement. This is called the reverse total shoulder and is the solution for those with arthritis and a poor quality rotator cuff. Near-full recovery takes about three months, partly because of a tendon that requires repair as a result of surgery. Physical therapy starts during the hospital stay, which is usually 48 hours. In spite of residual pain from the surgery, there often are signs of improvement at the first postoperative visit, generally at two weeks. A sling is worn for up to six weeks to avoid misuse of your arm during the critical healing phase. Why choose The Ohio State University Wexner Medical Center for treatment of sports-related shoulder pain? Expertise: Our surgeons treat patients with all types of shoulder and elbow disorders. Revision shoulder instability procedures, especially dislocations due to bone loss, are a specific focus. Ongoing research: Our surgeons have also participated in the largest study to date on the nonoperative treatment of full-thickness rotator cuff tears, which has won two Neer Awards – the most prestigious international award recognition for shoulder research. Highly educated: We offer fellowship-level physician care and physical therapy. That means our providers have completed up to two years of intense, specialized experiential training in the field, which translates to extensive proficiency in patient care. 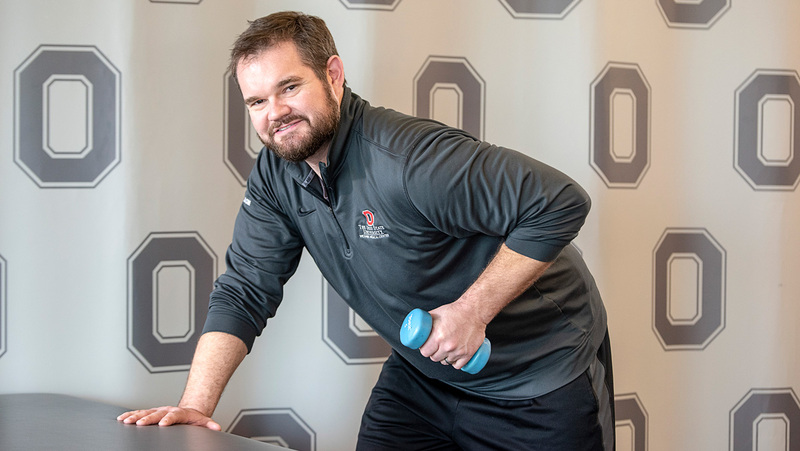 High-level training: In addition to our prestigious orthopedic sports medicine fellowship, The Ohio State University Wexner Medical Center is the first in the country to offer a credentialed Upper Extremity Athlete Fellowship Program. This is a 12-month program in partnership with the Cleveland Indians and their Triple-A affiliate, the Columbus Clippers. Brooke was a synchronized swimmer at The Ohio State University and is currently a physician assistant at Ohio State Sports Medicine. Here she shares the care she received for her shoulder pain and how everyone is treated with the utmost quality of care regardless of who you are. Christine suffered from a series of shoulder dislocations that inhibited her from playing softball, and other interests. 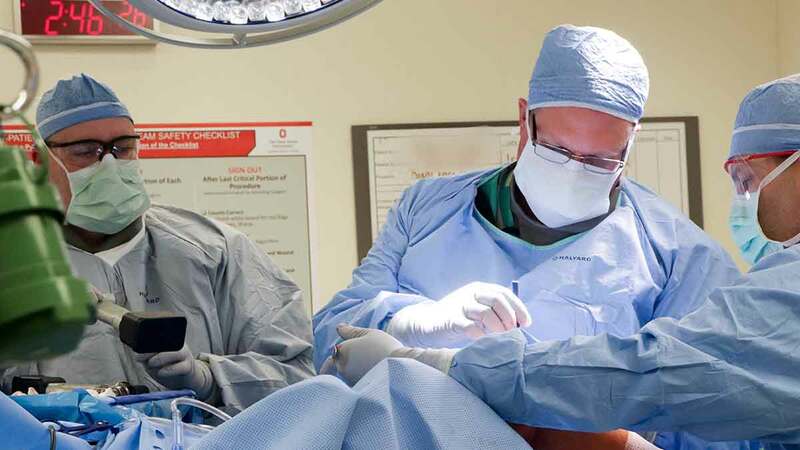 A surgeon at Ohio State Sports Medicine used the laterjet procedure to solve her dilemma. Christine shares why she recommends The Ohio State University for injured athletes. A debilitating rotator cuff tear left Jean unable to do many of the daily activities she enjoyed, from general taking care of her family to the annual hosting of holiday dinners. She shares how the sports medicine specialists at The Ohio State University Wexner Medical Center helped her get back to activity. Mitch shares the story of his first shoulder surgery that didn't go as planned and his journey to finding Dr. Bishop who did his revision surgery which now gives him the ability to do what he loves. Finding the right doctor when you are in need makes all the difference, Mitch wishes he would have found that at Ohio State the first time around.